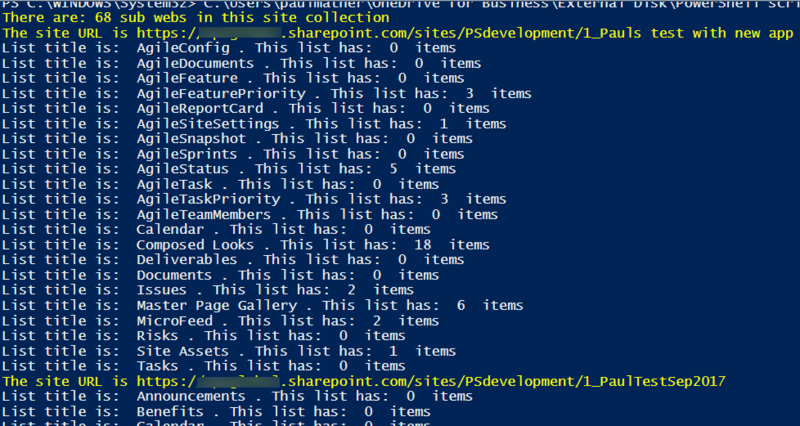 This is a supporting blog post for an example PowerShell script I quickly wrote for Microsoft’s Office 365 SharePoint Online. It was created after a query was posted on the Project Online TechNet forums asking how to easily check what sub sites were being used in PWA. Add the SharePoint Online / PWA URL, username and password for an account that is a site collection admin on the target site collection. There are probably easier ways to view this information but I thought I would just try with a simple PowerShell script.